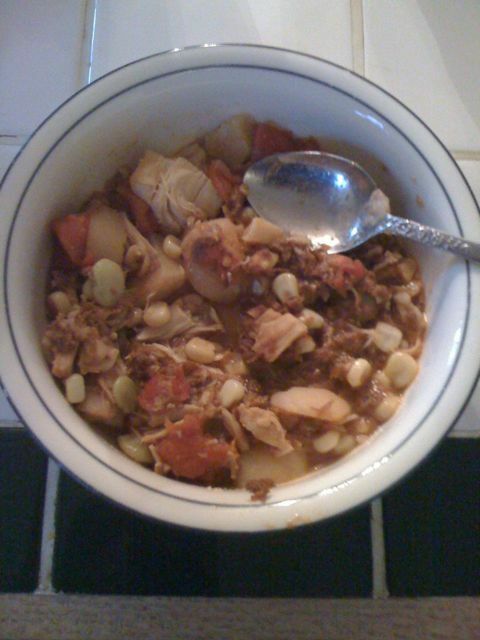 I mentioned the other day that I was enjoying my sister-in-law’s Brunswick Stew recipe. Here it is, in bowl form, serving as this morning’s breakfast. How do I eat a bowl full of potatoes, corn, limas, BBQ chicken, and beef (plus other stuff) this early in the morning?